Just as an annual physical check-up is a good idea for optimal health, so is the idea for an annual look at your company�s barter efforts. For a few minutes of your time, the following tips will give you valuable ways your trade exchange can help you make 2013 a more profitable year. Test yourself by looking at how the last few months have gone. o Yes o No Have you aggressively used your exchange this year to build new contacts and enlarge your customer base? o Yes o No Are you staying in touch with your trade exchange broker on a regular basis to find out what�s new and available, as well as to communicate your particular desires? o Yes o No Do you treat your barter customers as �A-list� clients because they make a significant, very profitable contribution to your bottom line? o Yes o No Do you spend a minimum of 15 minutes a day (90 minutes a week) thinking of ways to incorporate barter? o Yes o No Do you have a file or folder for planning your barter sales and purchases? o Yes o No Have you filled out your business work sheet? One column for expenditures paid with cash, the second column for those acquired on trade. o Yes o No Are you using your trade dollars for perks, incentives, bonuses, and special occasions when showing your appreciation and recognition? o Yes o No Are you using a trade purchase request form? It provides your exchange with an authorized purchase order, so a salesman from the exchange can confidently call on a new company (non-member) and sell them on joining the exchange with your business in hand. 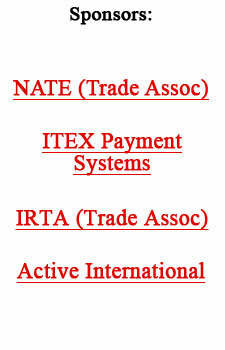 o Yes o No Do you suggest to your present vendors that additional business be paid with trade dollars? o Yes o No When trying to crack a tough new account do you use the greatest close there is? Tell them they don�t have to pay you in cash. Rather, show them how to save cash when buying your product or service by joining your trade exchange. o Yes o No Have you reviewed your long standing accounts receivables? If payments aren�t forthcoming, make arrangements to take products or services as payment. o Yes o No Have you approached a long-overdue creditor with a creative solution to your company�s debt problem? Offer to pay your debt with trade dollars. o Yes o No Finally, are you realistic in your barter expectations? Since your barter business is usually from 3% to 10% of your total gross sales, are you objectively looking at the valuable service your exchange is providing your company? Using your trade exchange efficiently and regularly can make this year your most profitable ever!